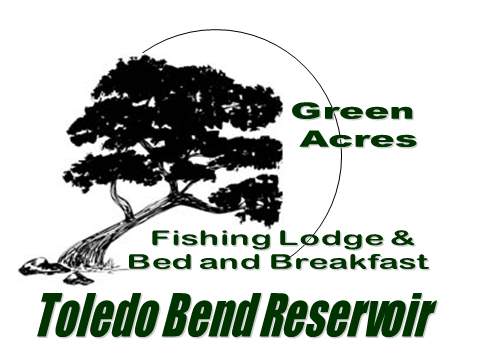 Green Acres Fishing Lodge, LLC and Bed and Breakfast is located at 240 LeBrun Dr. in Zwolle, LA. We are also located in the Mid-Lake area of the Toledo Bend Reservoir in a quiet cove just off of San Miguel Bay, where you can find big bass and big fun. If you have any questions or need more information, please feel free to call us at 318-645-7444 or e-mail us by using the form on this page (lower right). If you need driving directions to Green Acres Fishing Lodge, LLC and Bed & Breakfast please click the link below the map. When you confirm a reservation we will send driving directions as well.